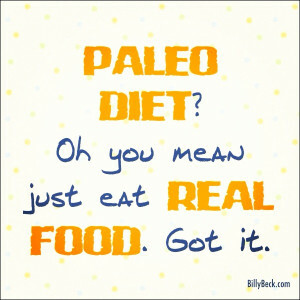 Is the Paleolithic Diet Good or Bad? The Good: It’s all about eating foods closest to their natural source. Two thumbs up there! No need to call it a diet. It’s just snapping us back to the truth that we need to eat less Doritos®, soda, beer and cupcakes. We get confused. We ask too many questions and end up over-complicating healthy eating. The key to success to eating better to live your best life is very simple. It does not require you to read a 300 page book. In this case, Eat Foods Closest To Their Natural Source. Avoid foods with refined flours and sugars more often than not. Keep it simple. Make this nutrition principle the foundation of your eating and reap the reap rewards. Let’s face it. We know what works. It’s time to live it!